There and Back Again – I.E. When I was a kid digging out fantasy novels from my parents bookshelves, I always gravitated toward a certain kind of book. It wasn’t necessarily the one with the most frightening dragon or most luscious maiden on the cover — though those things certainly caught my eye. It was the one with the coolest map a few pages inside. 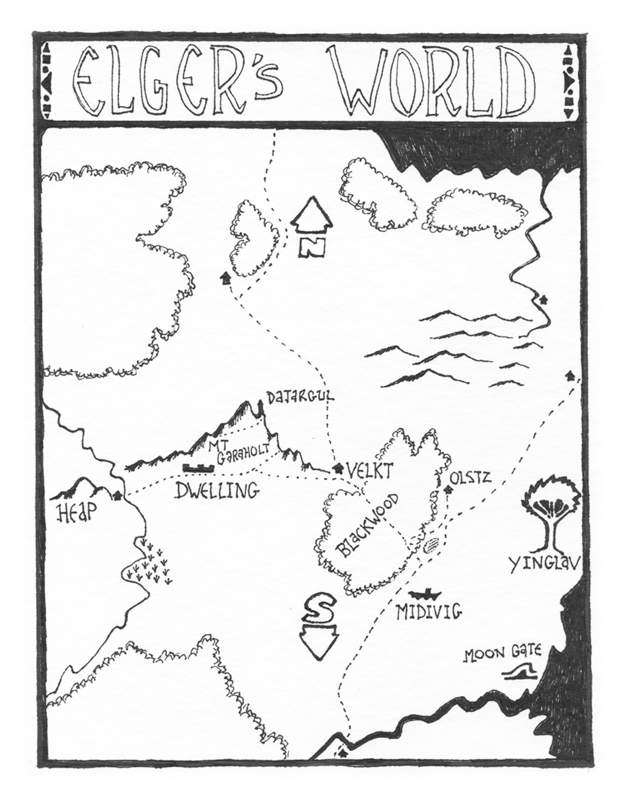 those maps found in 1970s and 1980s fantasy novels implied amazing worlds and promised wonder. They did not all deliver, of course, but they drew me in nonetheless. As such, I always knew that my first novel would require such a map — something to stir the imagination before the first words of the first chapter were read. There is an alchemy between cover, back copy and that map that creates a world in the reader. Luckily, I happen to know some truly talented folks. Among them is Dylan Vitale, a good friend and fellow gamer and wonderful artist, who crafted for me a map of Elger’s World. It will appear in the print version of Elger and the Moon only (which will be ready for pre-order any day now, I promise! ), as a special treat for those that like to hold a real book in their hands, but I present it here now for everyone to see. This entry was posted in Elger and the Moon and tagged books, Elger and the Moon, fantasy, maps, print. Bookmark the permalink.